A War Front colt produced from the two-time grade I-winning A.P. 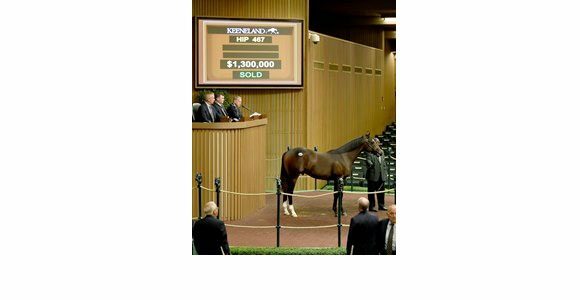 Indy mare Love and Pride became the second seven-figure yearling Sept. 13 at the Keeneland September yearling sale when he was purchased by Shadwell Estate Co. for $1.3 million. Consigned as Hip 467 by Four Star Sales, he is from the extended female family of grade I winner Cara Rafaela, the dam of champion and leading sire Bernardini . Cauthen said he believed the colt would do well, but did not want to pre-judge the market. The colt was bred in Kentucky by Three Chimneys. Erin Shea contributed to this article.